Today is the last day of Real Bread Maker Week, not too high profile as far as awareness weeks go, but it seemed an opportune moment to share a one minute video of the best real bread maker I know – my sister Raana. 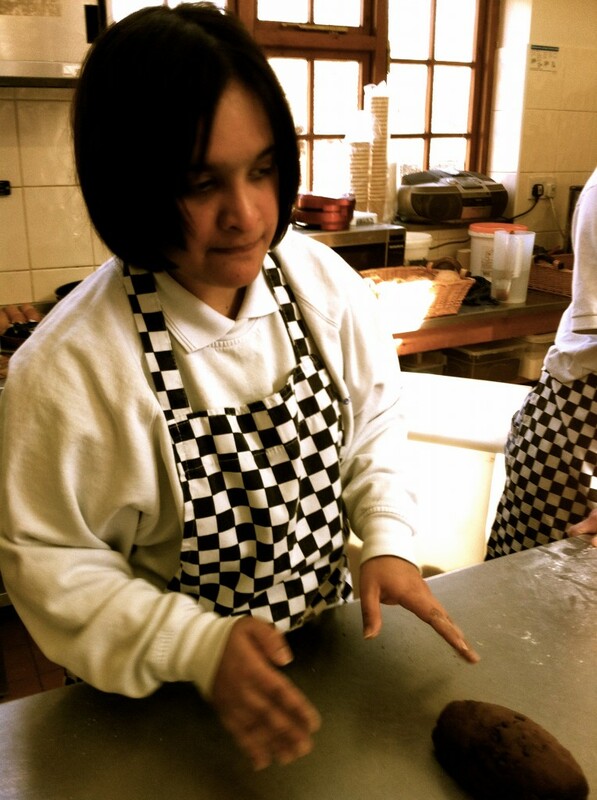 Raana works in the Lantern Bakery at the Camphill community in Hampshire where she lives. You can see and hear her and the other bakers in action in this audio slideshow I did for the Guardian. The video was put together last year as a little token of sunshine for family and friends after we did the slideshow, but following in-depth research and consultation (I asked Raana and our parents), we decided it would be fun to post it here. The bread maker week that ends today, run by the food and farming charity Sustain, champions “real” bakers’ “rightful place at the hearts of our local communities” and encourages people bake or buy real bread from local, independent bakeries. Just like my sister’s (she bakes a mean chocolate brownie too; if you’re passing by Ringwood, go taste…).